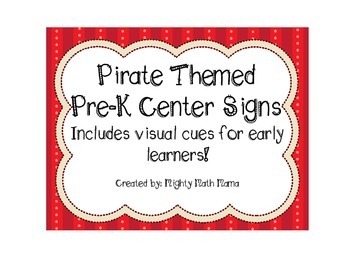 This set of Pirate Themed Pre-K Center Signs is the perfect way to brighten up your pre-k classroom and get your students excited about centers. 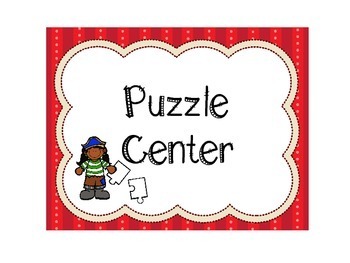 Each center sign includes the center name and a visual cue for early learners so they can recognize the correct center. If you have a pirate theme in your classroom be sure to check out my store for all my other pirate themed products! 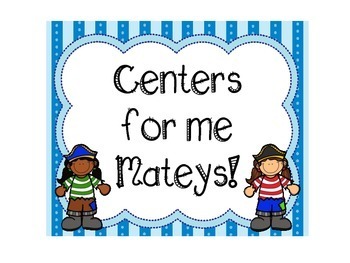 If you like these signs, but don't see a center sign that you need in your classroom, please let know by emailing me at mighty.math.mama.tpt@gmail.com and I will make the sign for you at no additional cost. If you like this product, please take a moment to leave a fair rating and earn TpT credits that you can use toward future purchases! 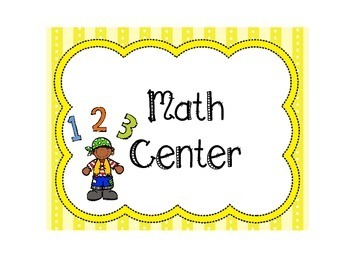 Also, be sure to follow my TpT store, Mighty Math Mama and like my Facebook page at facebook.com/mightymathmama.